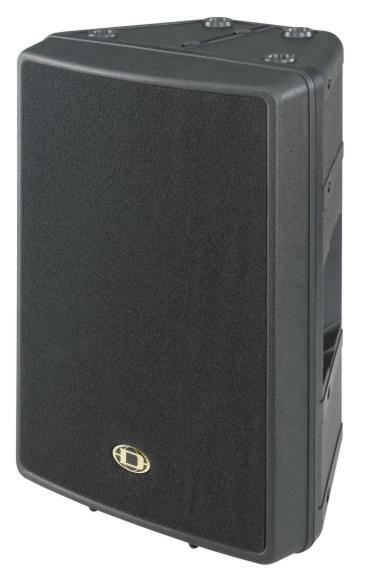 Launching the D 12 speaker system, Dynacord responded customers' requests for a light speaker system for small to medium-sized professional events. At winter NAMM 2008 powered versions of the light and sturdy cabinet were introduced. The D 12A and the D 12-3A will also be showing at InfoComm 2008 in Las Vegas, booth C3429. Both active models feature the same driver configuration as their passive equivalents. The D 12A boasts an Electro-Voice DL12BFH twelve-inch driver for bass and midrange and a constant directivity HF horn tweeter with the ND 2 high-power-handling driver from Electro-Voice. The three-way version, D 12-3A, adds an extremely low-distortion Dynacord D 6120 neodymium driver for the mids. The constant directivity horn of the D 12-3A operates with a DH 3 driver from Electro-Voice. The powered D 12A and D 12-3A speakers feature state-of-the-art technology including high-quality integrated digital power amplifiers rated at 350W (Lo) and 150W (Mid/Hi) plus signal processing. Input is a dual XLR/jack connector linking through to an XLR output for connecting additional D 12A or D 12-3A. A level control knob at the rear provides a simple and convenient way of adjusting the volume. The Voice Coil Tracking Protection system combines with halogen protectors for reliable operation. The D 12A weighs in at 19 kg, the 3-way model at 22 kg. © 1997 © 2013 Pro-Music-News. All rights reserved. Thank you for visiting Pro-Music-News.